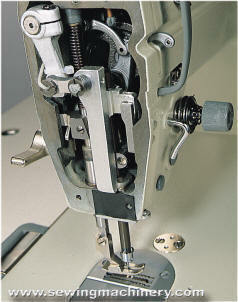 The GC0518A-D3 is the needle feed version of Highlead's single needle lockstitch machine with automatic under-bed thread trimming. The needle bar and bottom feed mechanism move in time: to combine into a more stable motion which helps prevent uneven material feeding & ply shifting etc, and results in a precise stitched seam. Stitch length variations are greatly reduced when sewing and changing between high & low speed or forward & reverse feeding. This is of particular use when you are hemming or sewing in long runs at high-speed (bed sheets, curtains, blinds, banners etc). 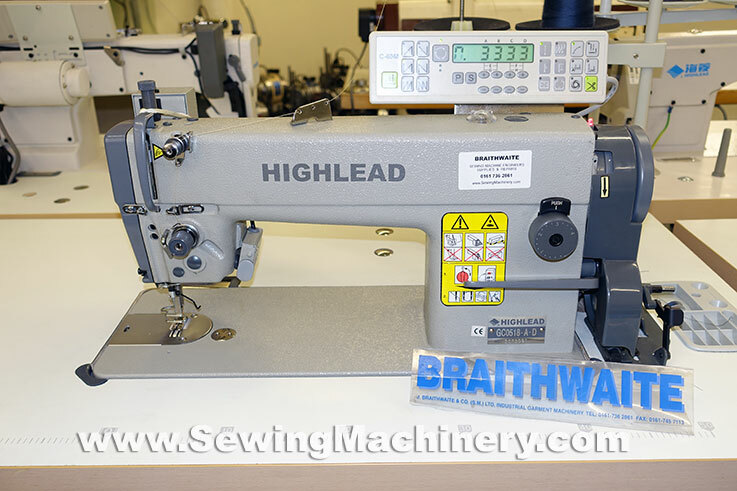 The Highlead GC0518A-D3 is a feature packed machine and as well as needle feed & automatic thread trimming; it comes as standard with programmable auto back-tack, auto reverse, auto thread wiper, knuckle quick reverse and built in stitch program module. It is fitted with the latest quiet & energy efficient electronically controlled AC servo motor, which only runs when you are actually sewing; If you pause or stop: the motor stops immediately and is almost silent.